1. 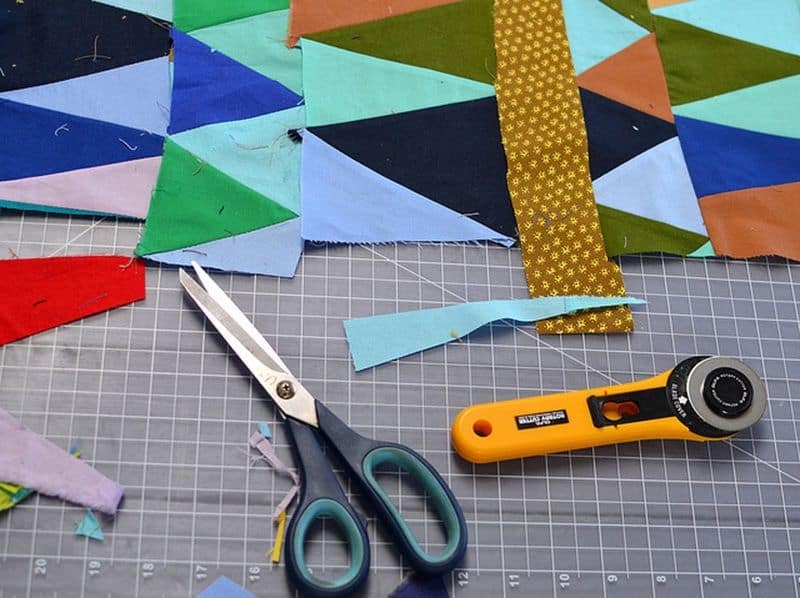 When and how did you start quilting? Sherri: I began selling checkerboard quilts at the local Farmers' Market in Carrboro NC, more than 20 years ago. 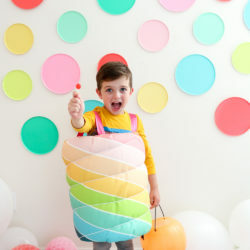 I loved to sew and I loved fabric. I had a great eye for color and patterns. I thought it would be a good way to make extra money. I sold my first quilt the second week out. 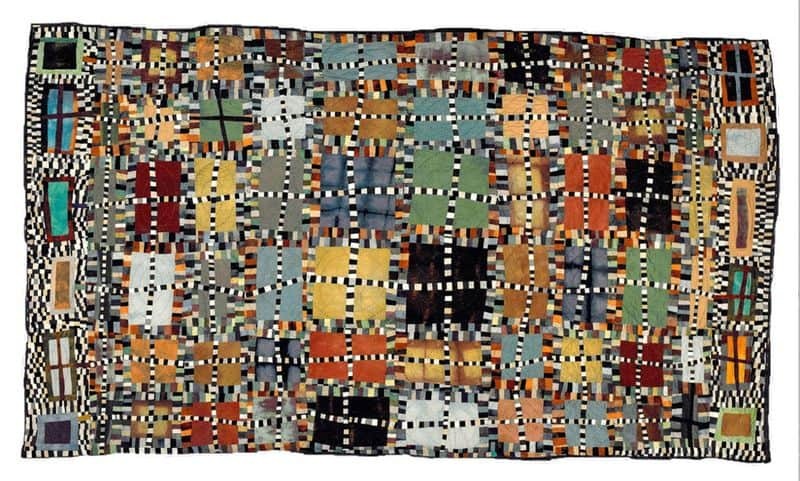 Within a year I saw the first exhibition of African-American improvisational quilts, Who’d A Thought It, a show organized by Eli Leon at the Ackland Art Museum at UNC-Chapel Hill. It changed the course of my life. I began improvising in patchwork, which led to my professional career as an artist. 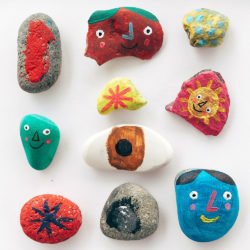 I remember selling my first improv piece for $1500 at the farmers’ market. I don’t have a good image of it but it was similar in design to this but square and in more primary colors. I couldn’t sleep that night I was so excited– my voice and vision was valued by someone I didn’t even know. I was hooked. 2. 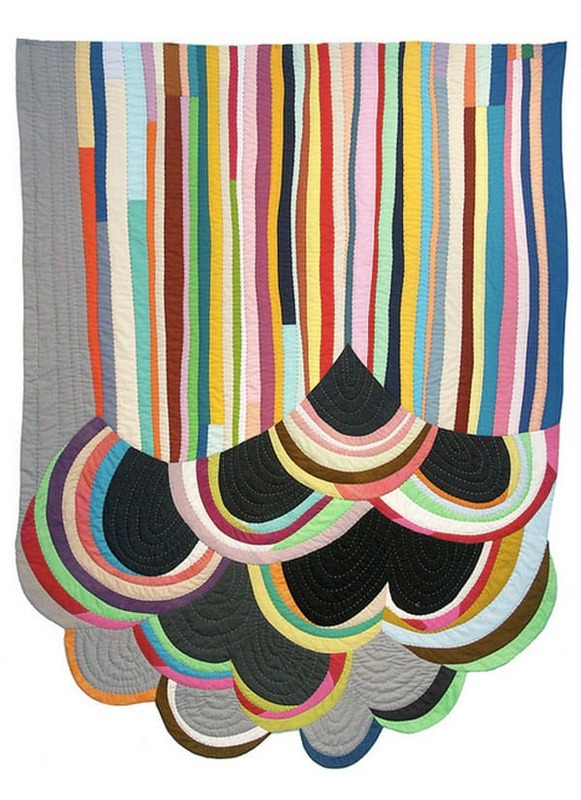 How did quilting become your career? And now my career as an artist and quilt maker has come full circle. 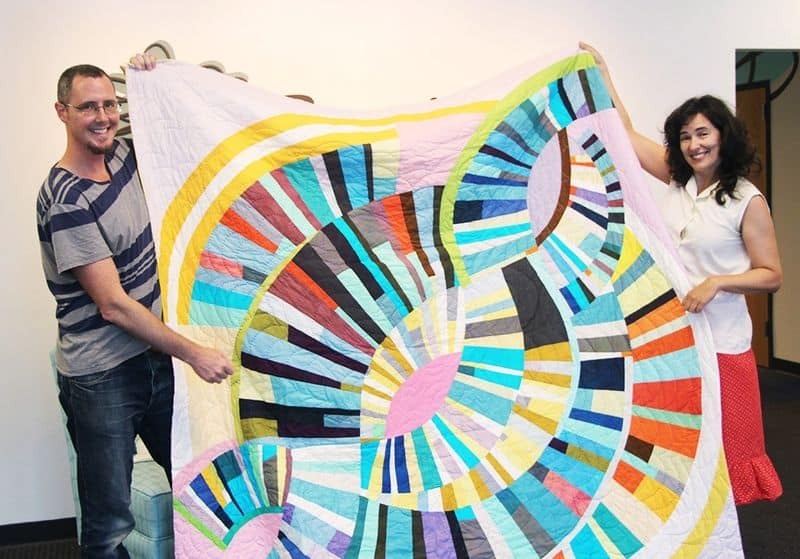 Two years ago, just as I began working on my first book about improvisational process and patchwork, I met Eli Leon at a talk I gave to the East Bay Modern Quilt Guild. He was in the audience and I was talking about how much his exhibition influenced me. We became friends and visit regularly to talk about the quits in his collection– some of the very same quilts hanging in the museum over 20 years ago! So much of his knowledge on the topic of improvisational aesthetics in African-American textiles has informed my writing as well as my quilt making. I’ve been given an incredible opportunity to translate some of Eli’s knowledge and combine it with my own into a practical format for modern quilters to learn by. I turned in my manuscript last week! The Improv Handbook for Modern Quilters should be available through STC Craft in early 2015. I’m exactly where I’m supposed to be, doing exactly what I’m supposed to be doing. I am incredibly grateful. 3. What is the sewing notion you can't live without? I just LOVE these little thread braids. I did a whole blog post about them because I couldn’t find them anymore, and readers from China and Canada both sent me thread braids. I love the online quilting community. 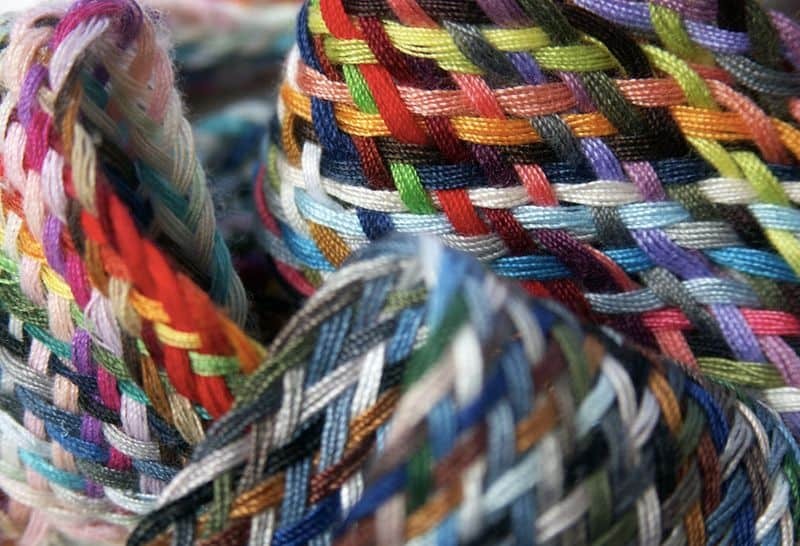 Sherri's must-have: bright woven thread braids. I live in the inner city of East Oakland. My neighborhood is pretty rough and very colorful. I’m surrounded by graffiti. The exterior walls, fences and pillar are a constantly changing canvas of juxtaposed color and shapes. All I have to do is look out my window for inspiration. It’s the energy of the street. 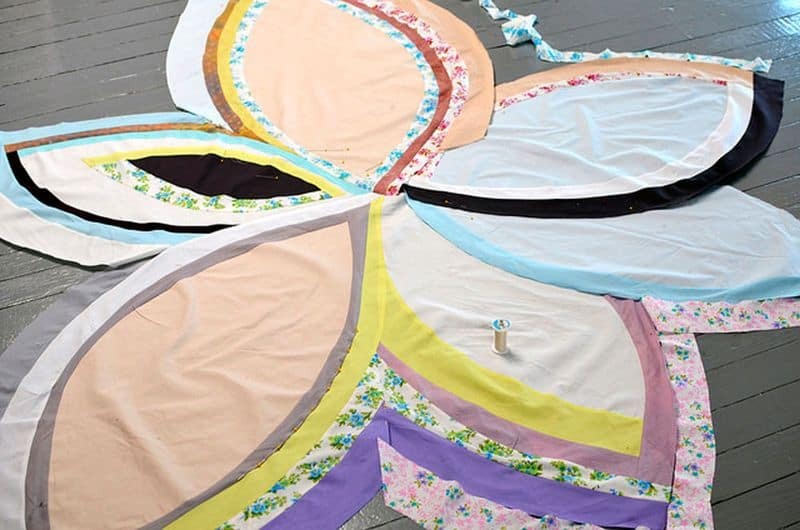 We were excited to be a small part of Sherri's inspiration for her Daisy quilt! 5. What song best describes your creative process? Bicycle [Race] by Queen, but I like this version by John Hollenbech, on his jazz album Songs I Like a Lot. "I want to ride my bicycle, I want to ride my bike, I want to ride my bicycle. I want to ride it where I like!" This song describes the freedom, will and joy I feel when I’m improvising. 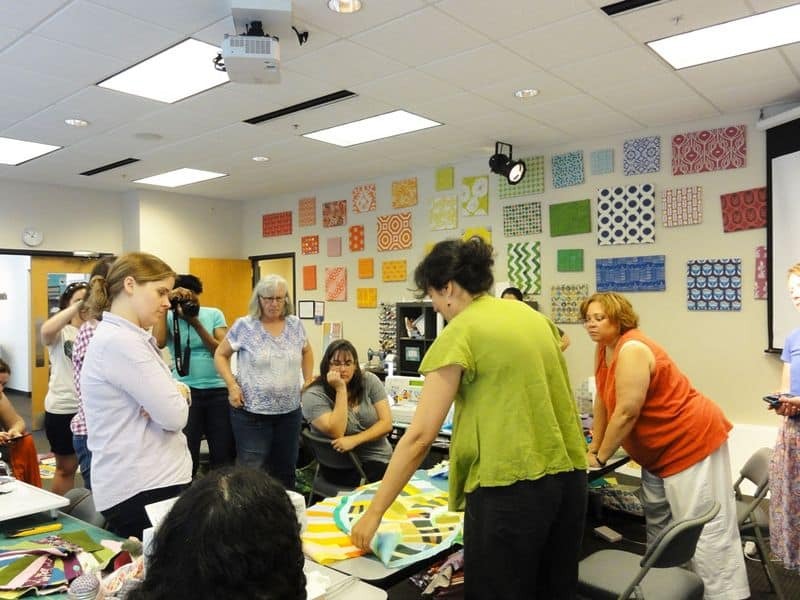 Improvising on the fly, Sherri instructs students in arranging their curvy quilt tops at last Saturday's workshop. 6. Describe a day in your studio in just 3 words. Sherri's workspace while preparing one of the many projects for her book manuscript. 7. Any tips for folks interested in starting to sew or quilt? Well these are my tips for people interested in improvised sewing and quilting, get curious, do what scares you, and evaluate your experience of making instead of judging what you make. Sherri and the ladies who participated in her Get Your Curve On! workshop in the Greenhouse. With Sherri's amazing advice in mind, here's to letting go and just creating quilts, crafts, and art from whatever it is that inspires you! Thank you so much, Sherri Lynn Wood, for sharing an inspiring weekend with us! Wow! Love the colors and patterns. Where does one use those colorful thread braids? Oh – I should have added that I use the thread braids when I’m doing applique. I often switch from machine piecing to applique while making my quilts so it’s handy to have precut thread in a variety of colors at my finger tips. Thanks for the profile Spoonflower. 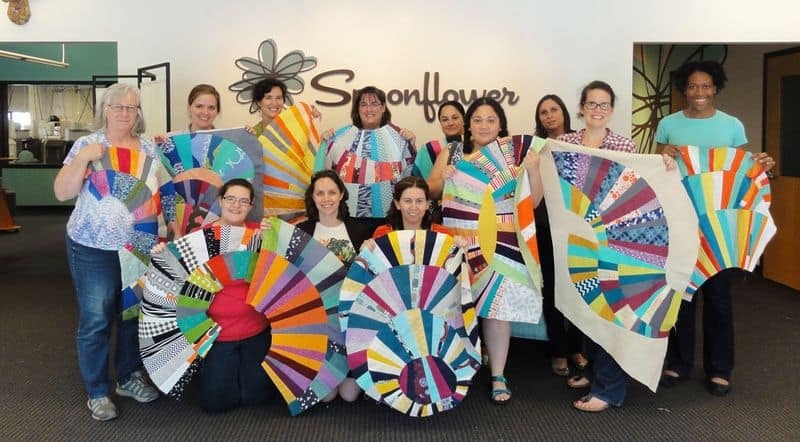 I had an awesome time seeing the Spoonflower operations and also working with such a great group of women. 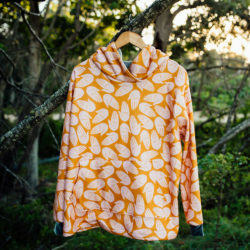 « Vote For The Fabric8 Finalists!